Deicing salts and concrete sealers are actually quite compatible. 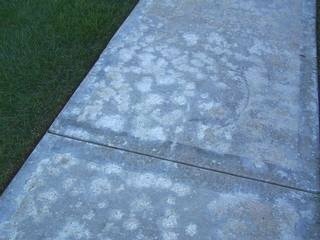 A concrete sealer will, in most cases, increase the lifespan of deicing salt treated concrete much longer than untreated concrete. Sealers for decorative concrete often fail where deicing salts are used, not from the salt itself, but what the salt does to the ice and snow it is melting. ROCK SALT - (sodium chloride) Most common, can melt ice and snow down to about 20 degrees F.
CALCIUM CHLORIDE - Small white pellets, can melt ice and snow well below 0 degrees F.
POTASSIUM CHLORIDE - Doesn't irritate the skin, will not harm plants, melts ice and snow down to 15 degrees F.
WHAT EFFECTS CAN DEICING SALTS HAVE ON CONCRETE SEALER? The deicing salts will chemically reduce the temperature at which water freezes. 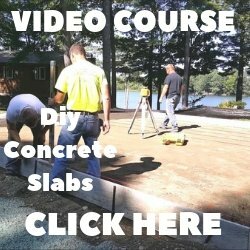 When applied to a sealed decorative concrete surface covered with snow or ice, it causes melting and the liquid can now migrate into the concrete. The water now mixed with salt will go through many freeze-thaw cycles as weather conditions change. Multiple times a day, deicing salts may be used to keep walkways, driveways, and steps clear so they won't be slippery. During a winter season it's possible the concrete and sealer will go through hundreds of cycles when the salt is used. During each cycle , the water expands as it freezes and contracts as it thaws. The problem is that while sealers help to slow moisture movement, they don't stop it completely. When the saltwater passes through, under and all around the sealer, the water is expanding and contracting. In time, under all that pressure, the sealer fails. The sealer can only take so much abuse from the force of water expansion and contraction before it starts to lift and peel off the surface. 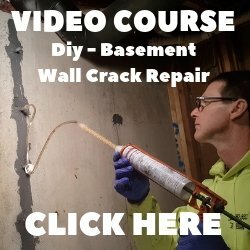 The same process is what causes the surface of concrete to spall and pop off, commonly referred to as surface delamination. In areas where the winters are harsh and many freeze-thaw cycles happen it might be best to use a combination of sealers. Start with a penetrating sealer that fills the pores of the concrete. Then apply a film forming sealer that creates a membrane over the surface of the concrete. This may cost more up front but could be a lot less expansive in the long run. We use RadonSeal's Dryway deep penetrating concrete sealer on our exterior patios, pool-decks, walkways, and stamped concrete. This sealer deeply penetrates into the concrete and blocks the melted snow and ice from seeping into the concrete which eventually causes the surface damage.